Based on the original 1987 Predator film where the Predator stalks his prey with deadly precision. 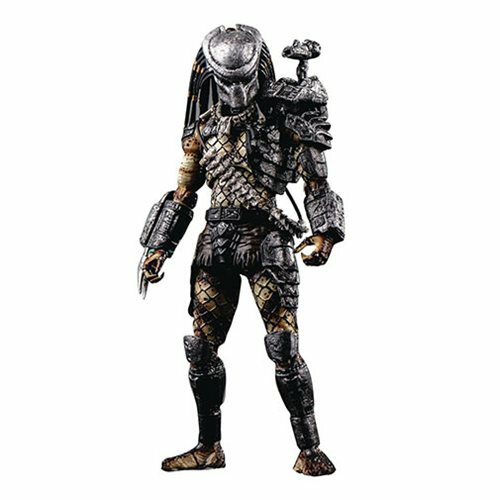 This 1/18-scale figure features full articulation and stands approximately 4 1/2-inches tall. This Jungle Hunter figure comes with a bloody spine accessory and a stand for easy posing and display.